Inside, in secret, we all support the efforts against Child Abuse. However; it seems as though no one wants to be the big star who speaks out publicly against this tragedy. Every day we see commercials to end abuse against animals, which I also highly support.We also see the commercials about helping to feed & educate the children in other countries; also another cause I agree with. In our America, the land of free speech, it appears that to speak out against Child Abuse is something we are all afraid to publicly support. Even I used to be afraid to speak about the crimes committed against me and go against the people who committed them. Each and everyday there is one of three children who will be abused in some form. It may be a beating, sexual assault or neglect. These children have to face their abusers each day. They have to learn how to function at school without speaking against their abuser. Each evening they worry if they will be attacked again. At night they don’t get to lie safely in bed for a good nights sleep after having dinner, a bath, and doing homework like many of their classmates. These children have worry constantly!!!! There is never a peaceful moment of childhood happiness in their hearts. They may be the child that is responsible for helping take care of their siblings and maybe even their abuser. They do not get time for homework or when they do they can’t really concentrate on doing it properly. They don’t have kindness around them or encouragement to move forward and make the best of who they can be in this world. Instead, they are taught to believe that they are worth nothing. Trained to believe that they deserve nothing good in their lives; that they don’t even deserve love!!! Is this really how we want our next generation to grow in this world. Children are a very special gift. They deserve all of our support, all of our love, all of our guidance. It’s hard in our busy lives to dedicate time to spend with our children, but all it really takes is just an ounce of effort each day. My children did not have a perfect life, but they did know that they would have dinner as a family together each night. That we could discuss what they did each day at school or just a simple chat over how their day was. They knew most of all that they were loved, even with the divorce of their parents. It wasn’t perfect and yes they still had some issues as they grew, but the most important was they knew they could depend on their parents to protect them, love them and try to guide them through with the best of our ability. It’s my opinion that those few little constants in the lives of our children will make a big difference. None of us are perfect, but in the eyes of our children we don’t have to be. All they really need from us are the basics of life which we all deserve and need. My life was destroyed by the severe child abuse I survived. It left scars that ate away at me for most of my life; in fact, there are a lot of those scars that I still deal with each day. My mother’s severe neglect left me physically rotting away while a skin infection from not bathing ate deep holes in my skin that covered most of the area on my arms and legs. She also denied me any medical or dental care, but we had excellent insurance through the mine workers union. There was never any care for my physical hygiene or a few simple lessons on how to take care of myself. She never supplied a toothbrush for me or took me to see a dentist, even though by the time I was 15 I had black holes covering what should have been my incisor teeth and my back teeth were literally breaking off in my mouth as I chewed. My stepfather controlled every moment of my life for twelve years, until I finally left home at seventeen. He viciously attacked me sexually and physically; he also loved to see the fear in my eyes at the threat of his continuous attacks. He chose to use a little girl as his personal whore and trained her to believe that all of the acts he committed against her were her crimes and would never be forgiven by anyone, not even the Lord above. His abuse not only scarred me emotionally, but has also sparked a forever fear in me that my death would some how be punished for what I did in my childhood. This was from a man that was studying to be a minister before he met my mother. His threats invaded not only this life, but have also triggered fears in what would be my afterlife as well. Through the link I’ve provided here, you will find a YOUTUBE video that I’ve created>>>> http://t.co/i3L6Jtu . Yes, much like me and my nature, it is imperfect; but so deeply sincere. In this short eight minute video you will see the physical scars left on me by the neglectful abuse of my mother. You will hear me discuss the emotional scars of the physical and sexual trauma, also you will hear how they passed forward to invade my children’s lives. You will hear me discuss a cause of awareness that has been created. There are many causes out there, but I believe that STOP WHISPERING goes directly to the very important issues of the forced silence of these crimes. If everyone would simply adjust their mode of thinking; these crimes are AGAINST our children, NOT COMMITTED BY THEM. Society leaves the survivors of these crimes to feel ashamed instead of feeling strong about who they are and what they had the courage to survive!!! Children’s minds are so inspiring, their trust and belief that we will care for them and love them is the statement of true unconditional love, but what is most amazing is their courage to survive these crimes and carry those secrets around with them forever. Always we make them feel that it is not proper for them to discuss these issues, unless it is in private with a therapist. Out of all of the wonderful public figures we have in our society and all the praise that we give each of them; are there no voices out there that want to stand proudly and speak out publicly to help bring awareness to the horrific nature and scars of these crimes? How do we find that public figure? How do we gain their attention and get their voice? Is it something that we must pay for? Isn’t this subject serious enough that we can influence at least one of those great, amazing stars or public figures to join with the voices of the victims and survivors of these crimes? I AM ASKING EVERYONE — GO TO >>>CAUSES.COM/STOP WHISPERING — http://www.facebook.com/l.php?u=http%3A%2F%2Ft.co%2F3oyY01t&h=cAQAGZikj >> simply click the link and join with our voices to help change our children’s future. It is really up to us as parents and grandparents to protect the lives of our children. It is up to the survivors to speak publicly about the crimes they survived and for society to stop shaming us and instead place that disgust and blame on the heads of the predators and abusers who haunt our children. If anyone would like to contact me, please direct an email to: trish.mcknight@live.com, if you are on Twitter my user ID is triciagirl62 or you can find me on Facebook at triciagirl62@facebook.com . 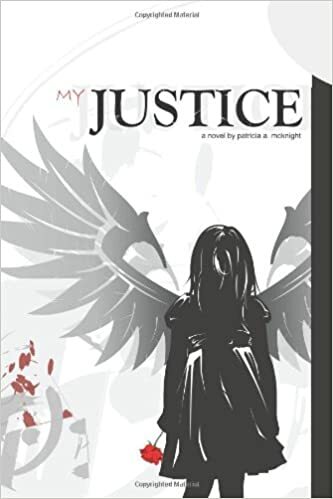 If you would like to find out more about me or my horrifying story, it has now been published in the novel “My Justice”. You can find this novel on the following sites, authorhouse.com / amazon.com / bn.com / google books. Thank you for lending me your time. I know how busy life can be but spend time and talk with your children about the issues of abuse, in school and at home. Teach them that they have a voice and that they are strong; they can speak against ANYONE who may be hurting them or touching them in ways they shouldn’t. It’s time to speak out for our children world, PLEASE HELP ME DO THIS!!!! Sincerely wishing for all of your moments to be safe and happy. You never truly know the importance of safety in our lives until you no longer have that control. When you lay your head down in FEAR each night instead of peaceful, happy, comfort; then you know what survival is all about. For the survivors of abuse, I say to you: “If we carry the secrets of our abuse, then we also carry that shame.” Please gain your courage and speak out to protect the children of our future. Everyone must be aware of the children around them, in their neighborhood; be watchful and protect them. Don’t allow abuse to go unnoticed, unreported! !